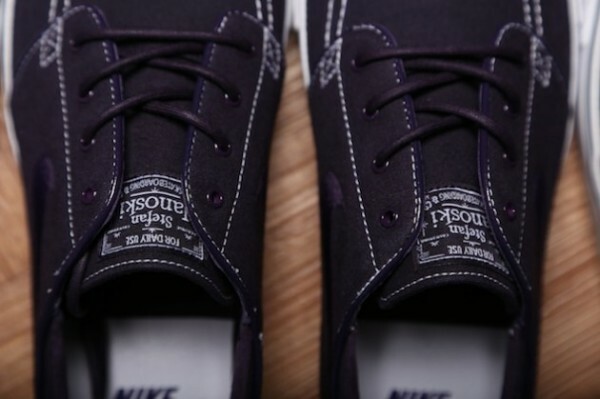 We follow up yesterday's initial preview with a full look at the upcoming fragment design x Nike SB Stefan Janoski. Expected to be released in extremely limited quanities in the near future, Hiroshi Fujiwara and Nike Skateboarding cooked up three clean everyday looks for the SB Stefan Janoski pro model. Each pair arrives constructed of canvas, and also features fragment design branding on the lateral side heel. Check out all three colorways below, and be sure to stick with Sole Collector for further details on a possible stateside release.